Every time I look at our Christmas Creek I can't but help think about cyclone Dianne. It makes me think about the power there is nature, weather to wreck havoc or sow hope. 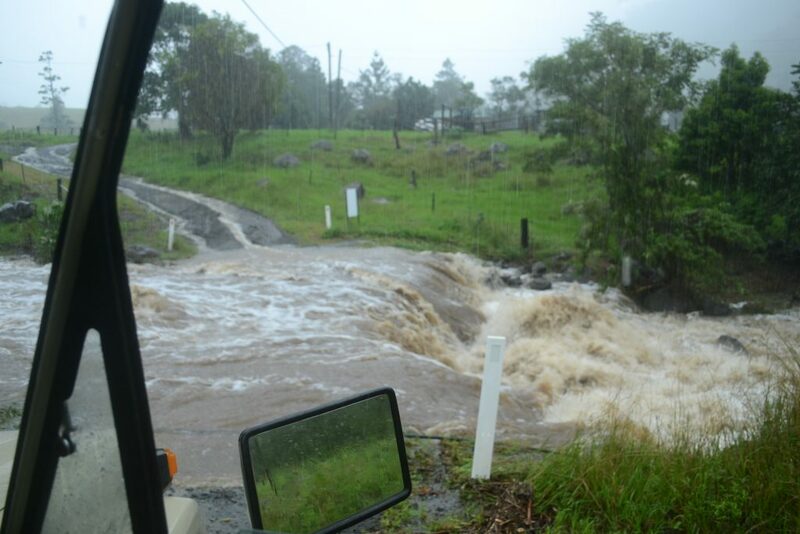 At Lamington we saw both with cyclone Debbie but the positives far out-weighed the negatives. 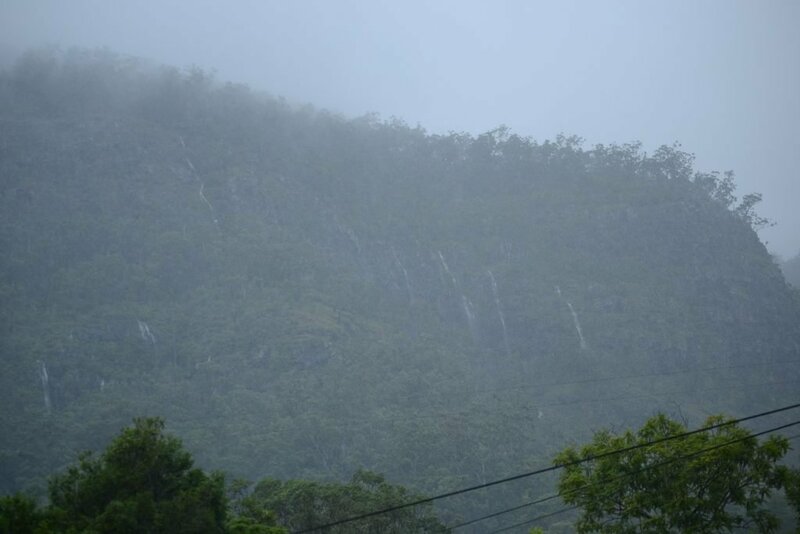 Huge rains created waterfalls where there were none before; streams down mountain sides that brought the usual sediment and landslips; and a creek changed once more. Before we came here, we were told, there was a large pool in front of our cabin, Serenity. It was so large you could swim pool lengths and dive off rocks. It wasn't there when we arrived because the big flooks in 2008 had filled them in – and removed a platypus habitat. Now, the floods brought about by Cyclone Dianne has changed the creek again. By picking up everything that was loose and sending it downstream there was nothing left but bedrock and our old swimming hole. Hopefully, the platypus will follow. But it makes you think differently about the natural world about us. Its forces are so large we would do well to stay on the right side of her. So, apart from leaving stuff like coal and gas in the ground, we should be pulling weeds out of the ground and putting plants back in. Rebuilding habitat, not removing it. Which is why at Lamington we have started a Landcare group with the ambition of restoring Chritmas Creek and its riparian habitat back to something resembling the natural rainforest that it once was. And, as a bonus for us, we had a group of volunteers turn up and spend time with the locals helping with the restoration. They came courtesy of Guy Cooper from 'The World As I Am'. So we have a strategy, some funding, a lot of help and the commitment to make this work for everyone. Which means our landcare group is open to everyone. 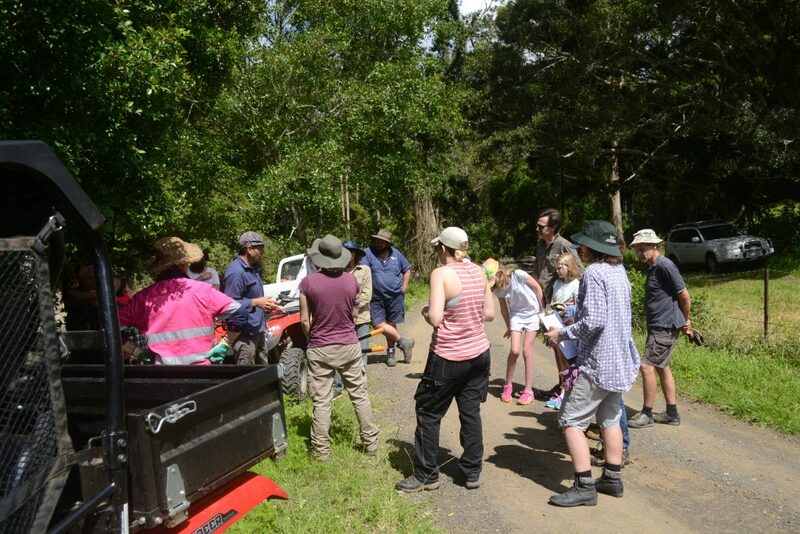 If you want to know more about our local Lamington Landcare Group you can find us on facebook and follow progress or, better still, join our group.